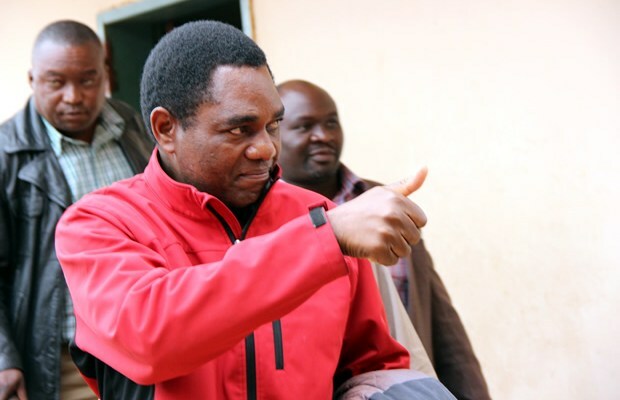 The treason charge leveled against Mr Hakainde Hichilema, president of the opposition United Party for National Development will be for the courts to adjudicate. Therefore the rest of us, especially those who did not witness the April 8 road rage between Mr Hichilema and Mr Edgar Lungu, President of the Republic of Zambia, must present our comments as general opinions without prejudice. In that regard, it is our opinion that before arresting Mr Hichilema, the Inspector General of Police Mr Kakoma Kanganja deliberately ignored very important information, released by Mr Amos Chanda, the State House press aide and President Lungu’s spokesperson. To those who have not followed this matter closely, the summary of it is that; Police broke into Mr Hichilema’s residence on the night of April 10, 2017, arrested him the following day before charging him with treason, among other offences. Reason – he did not give way to the Presidential motorcade during the Kuomboka ceremony in Mongu. 1. Protocol demands that a Head of State must be the last to arrive at any event where he has been invited to officiate; why did President Lungu find it important to arrive five minutes before Mr Hichilema? 2. It is the statutory duty of the police, in accordance with the law, to clear all vehicles or moving objects before the Head of State uses a selected road; why did the police fail to clear off any of the vehicles which were behind on the UPND entourage before attempting to bump off Mr Hichilema’s car which was in front of the convoy? 3. Why was the window to the President’s bulletproof, armoured vehicle lowered when overtaking Mr Hichilema – exposing the Head of State to imminent danger in the face of hostile opposition? Meanwhile, it is public knowledge that Mr Hichilema does not recognise the election of Mr Lungu as President of Zambia, and it is also visibly clear that Mr Hichilema’s driver did not pull over for the Head of State to pass. On all these matters above, we leave it to the courts to decide and expect fair judgment from the judicial system. But it is the role the police played in this matter that we believe has not been debated exhaustively. Since the role of the State Intelligence is incognito in circumstances such as the Mongu road incident, we believe that the responsibility to safeguard the life of a Head of State lied entirely in the hands of the Police, with the Inspector General at the helm. In the case of any transgression, especially bordering on treason, we believe that it is the duty of the police to first investigate a case before making any arrests. Our view is that, if before arresting Mr Hichilema the police command investigated what transpired in Mongu and made conclusions without liaising with State House, then the Inspector General is presiding over a very incompetent law enforcement wing. In this statement, the Inspector General is proudly announcing to the nation that his primary source of information, which prompted his comment, was social media. The IG further says “If the circulating picture was a reflection of what truly happened, then it was unfortunate” – again confirming to Zambians and to the Head of State that he had no idea about the incident involving his Commander-In-Chief until he saw the photo on Facebook, WhatsApp or Twitter. Assuming that, for whatever reason, all the police officers in the Presidential convoy did not care to call and inform him about the “unfortunate” incident, and the so-called “officers on the ground” were too slow to avail him a report, why did the IG choose to make a statement contrary to information that had earlier been provided by State House to the public? We find this information very relevant because, in this statement, Mr Chanda is confirming that Police made the necessary route lining and mounted check-points on the road which was to be used by the Head of State, but went ahead to allow the UPND convoy of over 40 vehicles to pass, on the assumption that the Head of State would not find them. So who allowed the “unfortunate” incident to happen? Is it Mr Hichilema for driving slowly or the Police for driving the President too fast? A consultation upwards would mean, either the Inspector General or the President were consulted, but since the IG says he learnt of the incident from social media, we can assume that under President Edgar Lungu, police are advised to consult him on how to safeguard his life. But when Mr Chanda says “WE WERE CLEAR THAT NO DANGER WAS POSED”, who is he referring to? Who came to this conclusion that there was no danger posed? If it’s the police or State House, then why is HH facing treason charges? Being that we are not experts at law, we cannot speak authoritatively about the need to subpoena Mr Chanda to help the court understand; who consulted who and who decided what? But our only prayer to Ms Lillian Shawa Siyunyi, the Director of Public Prosecutions is that, as she takes Mr Hichilema to court today to prove his innocence, she must consider this matter as her biggest career test and challenge as a chief government prosecutor. We know Ms Siyunyi has handled several complicated criminal matters before, but in this very high profile political case, the UPND leader is not the only one facing trial. The moment Mr Hichilema enters court to take plea, Ms Siyunyi must take that as a commencement of her own trial as DPP and that of the Inspector General of police.